HỘI AN — Cẩm Thanh administrators, scientists, local residents and businesses have signed an agreement to manage and protect the commune’s nipa palm forest - the first-ever joint environment protection deal between an administration and its community in the central region. The deal, which was signed last week in Hội An, aims to boost strict management in environment protection and sustainable measures in tourism service in the city’s Cẩm Thanh Commune. It was the first-ever meeting of local government, resident, business and scientists to deal with tourism and alarming violations of nature and environment. The meeting was held following warnings from local people that many restaurants, buildings and concrete embankments have been built in the area and encroached on large area of nipa palm. Under the agreement, any negative actions must be discussed among local administration, community, businesses and scientists for better management in tourism and environment. Booming forest tourism over recent years has damaged habitats and scenery landscapes of the wetland area, while local administration was too weak to control the situation. 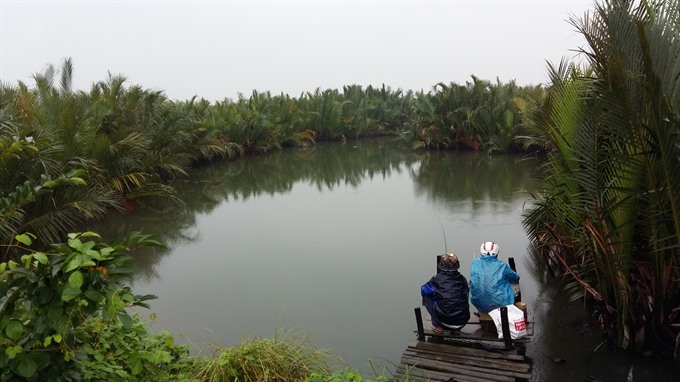 The 140ha nipa palm forest in the lower of the Thu Bồn River plays an important role in the world biosphere Chàm Island-Hội An, as it shelters fish and aquatic species breeding before moving back to the world biosphere Chàm Island-Hội An site, team leader Chu Mạnh Trinh said at the meeting. “It’s chaos. Series of activities – tourism, farming, construction – have recently broken centuries of quietness in the forest,” Trinh said. He suggested that integrated management is needed in ensuring local residents’ benefit from tourism service and environment protection. “The forest was damaged due to overloaded and poor control of infrastructure construction and management. Local residents still fish with power shocked tools, while aquaculture farms have polluted the river and nipa palm forest,” he said, adding garbage and waste water treatment station have yet to be built in the area. A report from the Chàm Islands Marine Protected Area unveiled that poor planning development had claimed 40ha of nipa palm area between 1975-90, while rapid urban expansion encroached into 20 per cent more of the forest. “Nipa palm forest is the most powerful plant in the wetland of Cẩm Thanh and ecological system ranging from Hội An to Cửa Đại estuary and Chàm Island,” said Lê Ngọc Thảo, a researcher from the Chàm Islands Marine Protected Area. Lê Thanh, chairman of Cẩm Thanh Commune, said local administration would allocate tourism service in nipa palm forest and special protection area. “We invite local residents to join in supervision of tourism and protection on large area of forest. More wastewater, farming and solid garbage regulations will be given to control poor actions among local residents and tourism,” Thanh said. Lê Dương, a local resident, said the community needed to be aware of the role of nipa palm plays in the growth of wetland plant. Nguyễn Tuấn Liên, a tour operator, said many restaurants illegally built concrete foundations in the area. “It’s an eco-tour site, and local residents and tourists must follow restrict regulations on noise and environment protection,” Liên said. 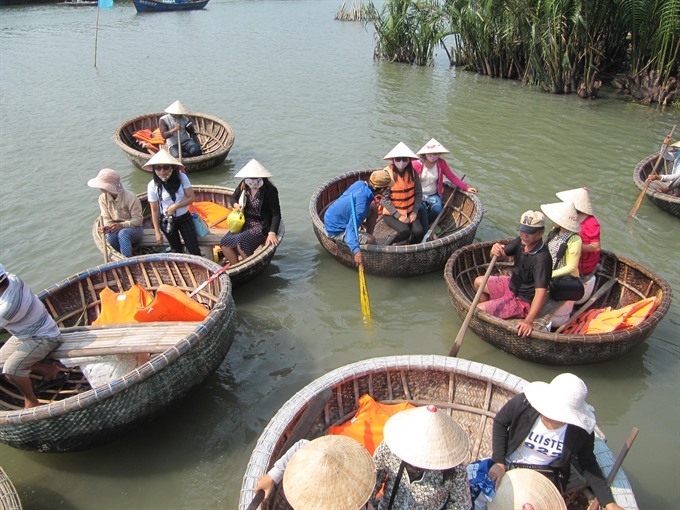 Over Cẩm Thanh 2,000 residents still benefit from the wetland forest by earning much for their living from eco-tour service and crafts. 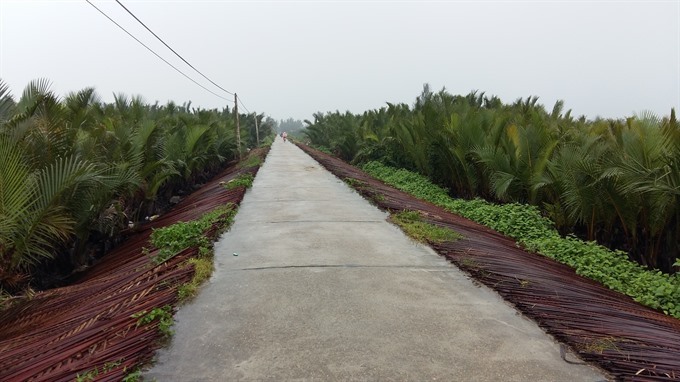 Hội An City has been seeking funds to replant 140ha of Nipa palm along the Thu Bồn River.